Have you ever seen a child carrying a tiny shopping basket? You may have thought to yourself, “Oh, how cute!” These baskets are more than adorable store additions, though. In reality, these miniature versions make life for parents and store owners so much easier. Not only do they improve the atmosphere of your store, but they are also inviting to shoppers with small children. Attention is in the details, and with small baskets, you’re likely to attract more shoppers because your business is catering to families with little ones. For kids, shopping can be a boring and at many times frustrating task children have to join their parents for. And if there’s one thing that’s extremely common, it’s that children have meltdowns. Unfortunately, for the majority of parents, these meltdowns tend to occur in the supermarket or while running other errands. When you have unhappy children, even the simplest of tasks can become an absolute nightmare. This is where a stores’ handy mini shopping baskets come into play. For one reason or another, children love to pretend they’re shopping, and in turn, help their parents shop. Child-sized baskets provide children with joy and help to reduce mid-shopping trip meltdowns. When a child is unhappy in the middle of a store, it can be embarrassing for the parent and create stress. In some cases, meltdowns can be so bad that parents leave a store without buying anything at all! When children are content, your customers will have more opportunities to purchase additional items from your store, recommend your store to friends, and come back for repeat purchases. 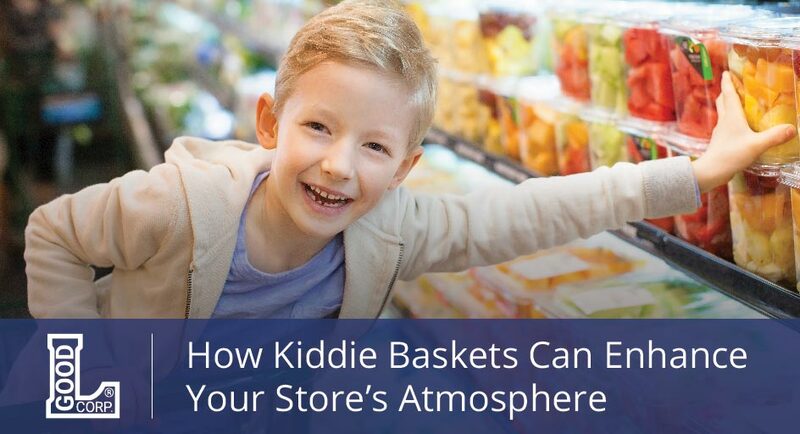 They are especially likely to do so if your store provides things for children — these baskets are what may have lead to a great shopping experience in the first place. Mini baskets are like a children’s toy, making shopping with a child fun and a breeze. When your customers and their children are happy while in your store, they are more likely to continue to shop. Think about the last time you were upset while running errands and shopping. All you wanted to do was get out of the store in record time, with the products/services you intended to purchase. Now, imagine doing that with an upset child in tow. If there is any way to decrease shopping-induced meltdowns, it’s to provide children with something that will keep them engaged and happy. Stressed out shoppers are not likely to make impulse purchases or stay in a store for longer than they have to. Change this by eliminating the stress! Good L Corporation provides businesses like yours with the only American made mini baskets. Ready to add this type of specialty basket to your store? Contact Good L Corporation today for more information. Plastic vs. Wire Shopping Cart: Which Is Best for You?